The BOSU freaked me out for a long time. 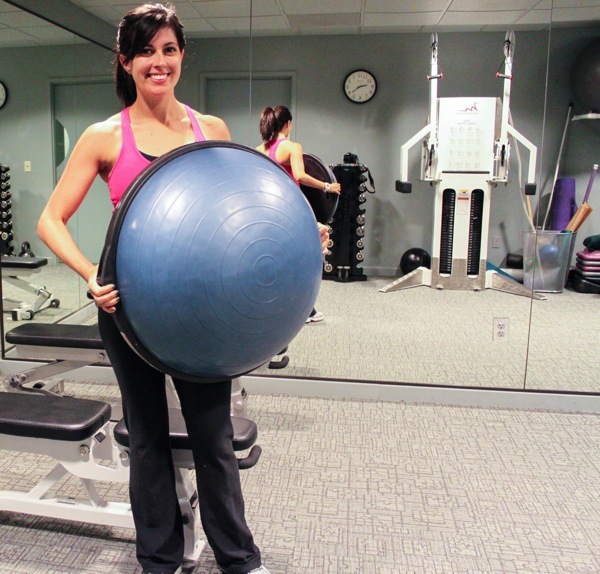 I knew it was kind of like a stability ball, but I didn’t want to use it and look like a giant goober. Instead, whenever I saw someone else use the BOSU, I watched intently to see if I could learn any new moves. The standards: ab work and strength training. I could do that. So I gave it a whirl and while the BOSU looks whimsical and innocent, it burns. For real. Since then, it’s become a pretty standard tool in my training. It’s a versatile piece of equipment, doesn’t take up a lot of space, and is a great way to fire up your core by challenging your balance. 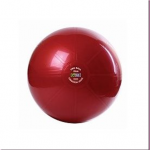 The BOSU Balance Trainer is like half a stability ball on a plastic platform. The term BOSU is an abbreviation from the phrase “both sides utilized,” so this means you can use the bouncy side of the BOSU and the platform side. 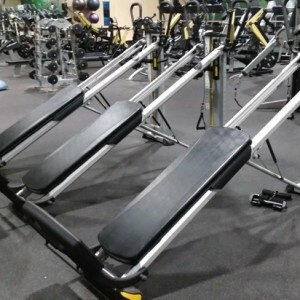 By using the bouncy side, you’re able to perform a variety of strength training and cardio movements, and the platform is a fantastic way to work balance and upper body strength. Whatever you decide, it’s an extra challenge for your core since it has to work to stabilize your entire body. -Core challenge! Since the surface is constantly changing, the BOSU transforms every exercise into a bonus ab exercise since you’re trying to maintain balance. -A huge benefit of balance training is proprioception, which is how the body interprets its position in space. It helps the body realize which muscles it needs to use according to where we are and what activity we’re doing. When the system gets overwhelmed, we lose balance and fall. Regular balance training can help improve posture, coordination, prevent injuries and falls as we age. 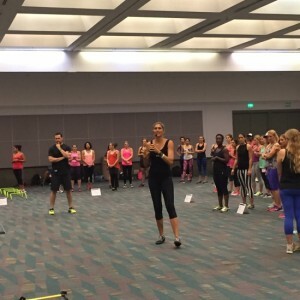 -By using different tools, equipment and exercises, we prevent the body from kicking into cruise control. Remember, change creates change, so anything we can do to keep our body guessing is a good thing. 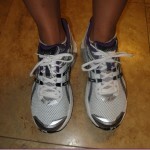 -Not the best choice if you have balance or joint/knee considerations. At first, if you want to just practice standing on the BOSU, that in itself is utilizing your core. If you feel comfortable after that, venture into small squats, then full and finally strength training on the BOSU. -BOSU balance trainers are expensive (about $100) so I don’t usually recommend them for small home gyms. They’re fun to use as a way to shake up your routine, but not a necessary component of a good strength training plan. 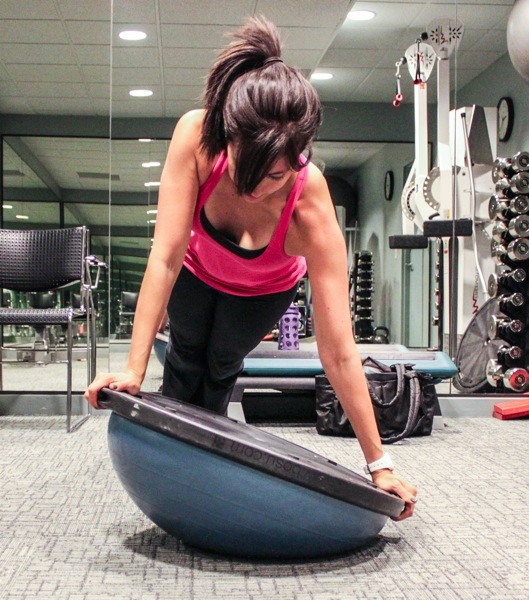 2) Almost any standing strength move can be done on top of the BOSU- the key is to keep those abbies tucked in! 9) Squat jumps- jump both feet up into the air and land in a pile squat! Freeze and repeat. 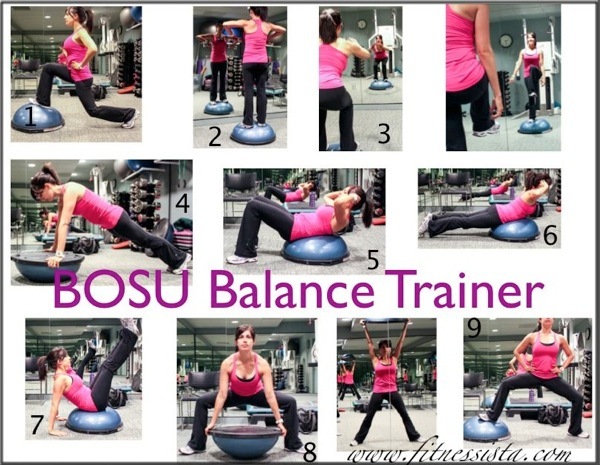 How often do you use BOSU balance trainers in your fitness routine? What’s your favorite exercise? 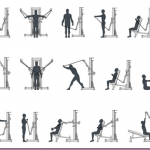 Any piece of gym equipment that freaks you out? wow, thank you so much, sarah! The BOSU is by far my favorite piece of equipment. I use it all the time for aerobics classes. 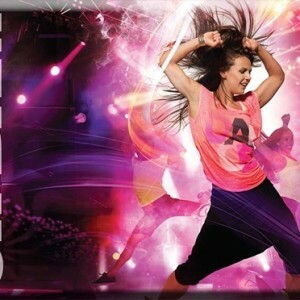 So good for cardio and strength moves. It’s so funny you posted this because I read it and then went to the gym to meet with my trainer…and she decided to do an entire strength workout for me using the bosu ball…INCLUDING tabata intervals, which I thought was so interesting. We did burpies on the bosu (hands on the ball, feet on the floor when you kick out, then come back and stand up and balance on the ball), one where I had to hold it over my head and shuffle my feet, mountain climbers/plank holds, and jumping drills all for the tabata part. You don’t even realize how many muscles you have to use to balance on that thing!